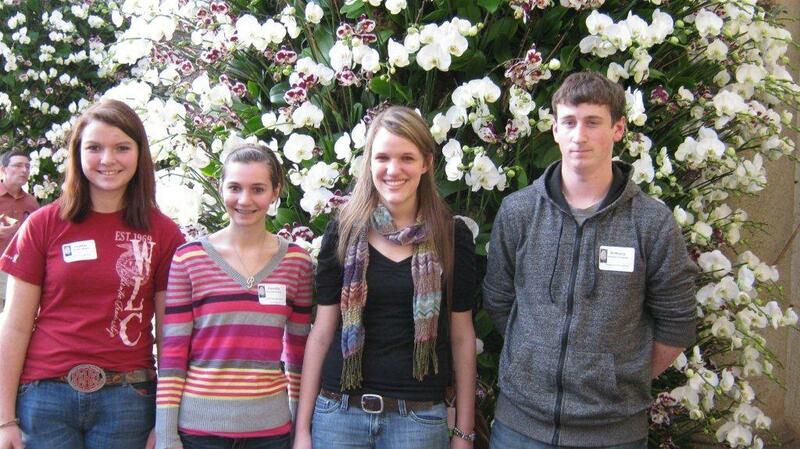 Thanks to an alumnus of Garden Spot High School, three Grassland FFA members had the opportunity to attend the Today’s Horticulture Symposium at Longwood Gardens on February 3rd. Percella Hankins, Kristin Horton and Heather Musser and a young man from New Jersey were awarded scholarships. The young ladies submitted applications to earn a spot at the symposium held in the Ballroom of the Conservatory at Longwood Gardens. Shelby (Seip) French, a 1995 graduate of Garden Spot High School contacted agriculture instructor, Tracy Marchini, to offer scholarship opportunities to students interested in attending the seminar. The symposium focused on various aspects of the horticulture industry with a special emphasis on gardening with sustainability in mind. The keynote speaker for the day was Stephen Crisp, head gardener for Winfield House, the home of the U.S Ambassador to the United Kingdom. Additional speakers covered topics such as pollination, water conservation and diversity. 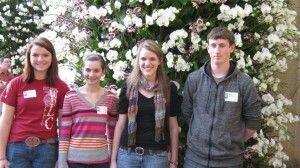 The students are all enrolled in the agriculture education program at Garden Spot and are interested in horticulture. All plan on competing in the floriculture Career Development Events at the Regional and State competitions later this year. This was a great opportunity for students to expand their learning beyond the school walls.